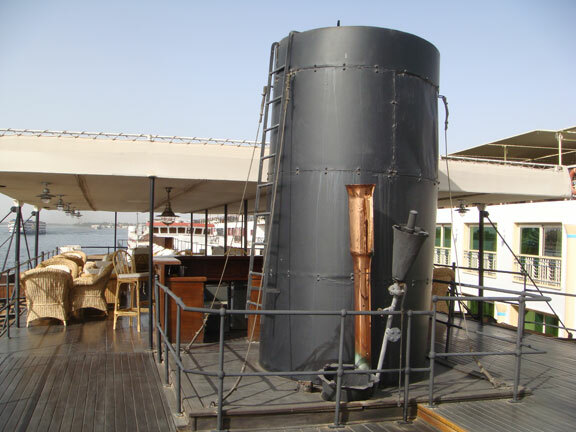 I had the great pleasure of being shown around the Sudan Steam Ship arranged by the Director of Voyages Suzanne El Chehaly. 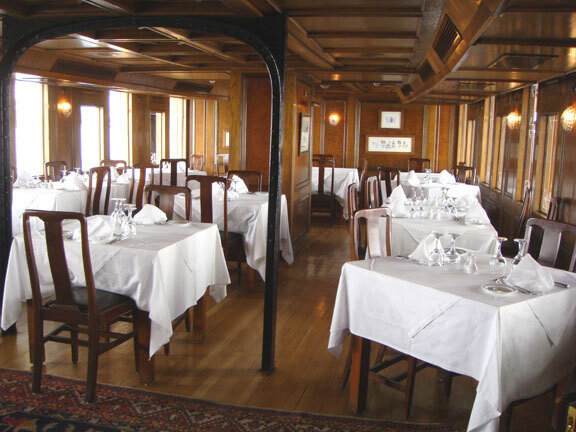 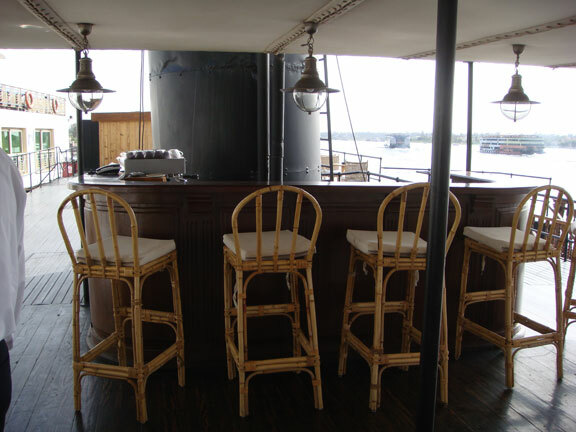 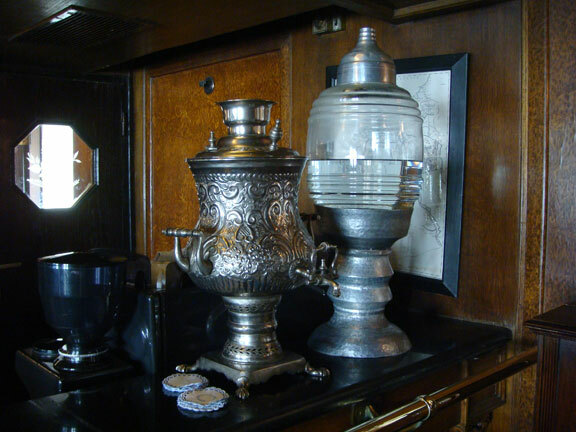 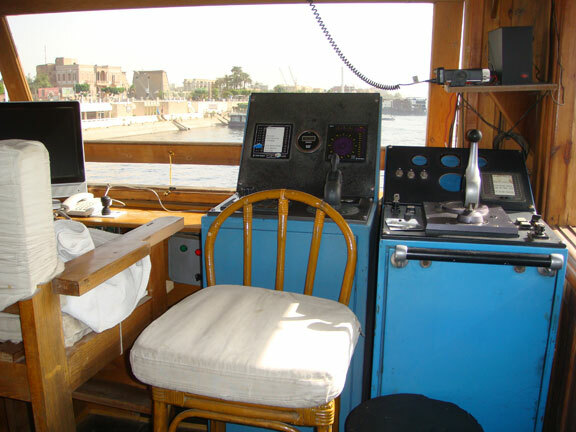 SS Sudan (Steam Ship Sudan) is a working steam ship built in 1885, which still operates on the river Nile taking tourist between Luxor and Aswan. 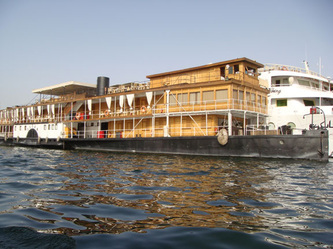 The schedules at present are - Luxor to Aswan 4 days taking in Edfu, Kom Ombo and Philae. 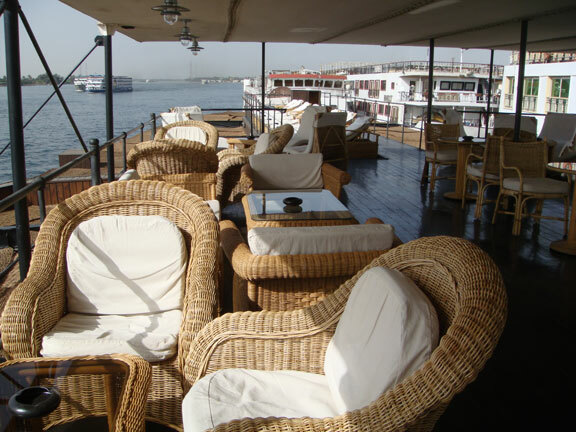 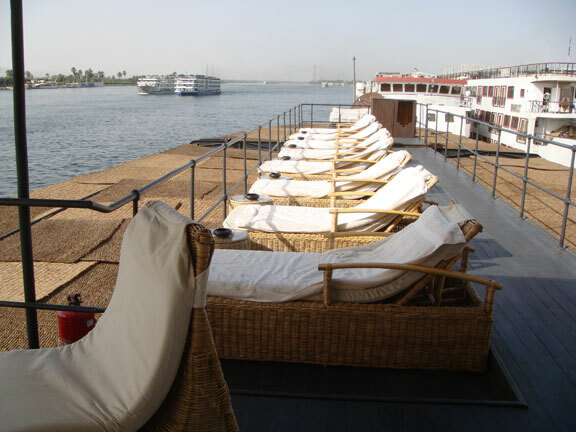 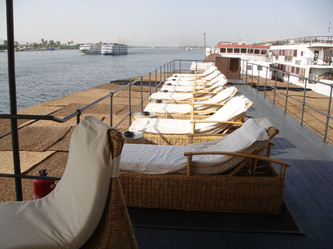 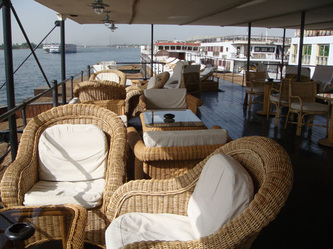 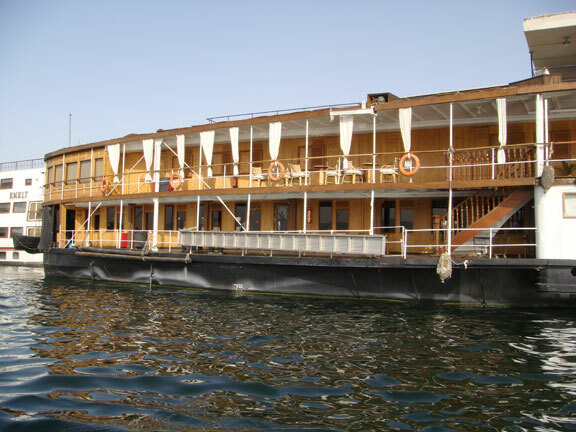 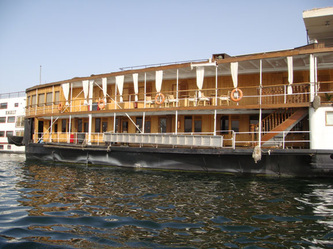 Aswan to Luxor 3 days. 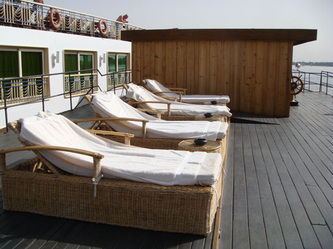 From €602-885 (sharing) or €783-1,150 (single) per person per cruise. The boats engines still drive the two paddle wheels one on each side. 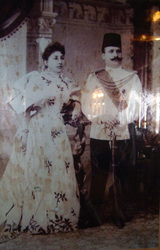 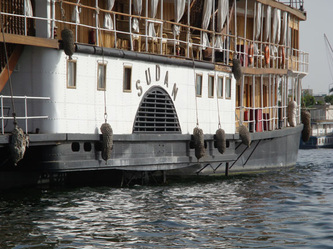 The SS Sudan was built in 1885 as a gift for King Fuad, his title was King of all Egypt and Sudan, hence its name. 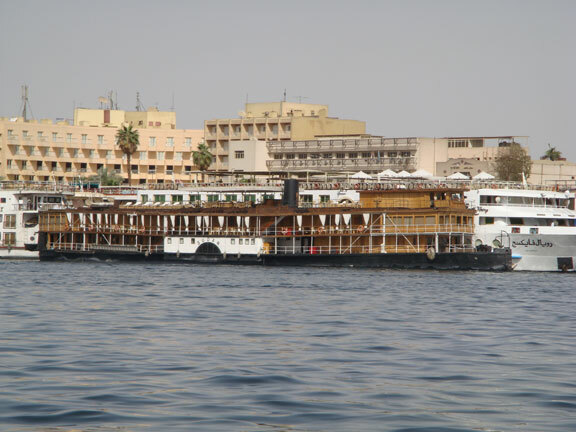 It was then bought by Thomas Cook and was one of the first boats to cruise the Nile with tourists. 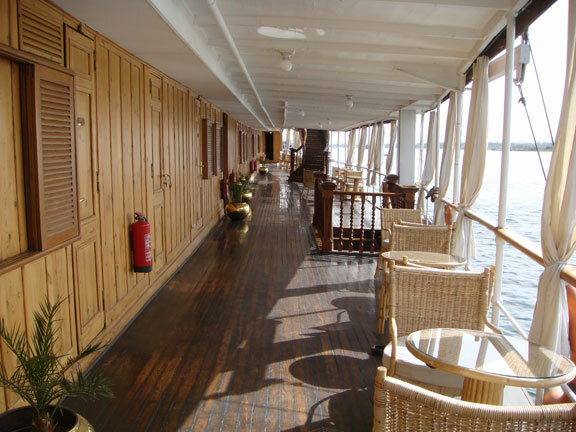 Agatha Christie came on board the Sudan in the 1930s with her husband on an archaeology mission. 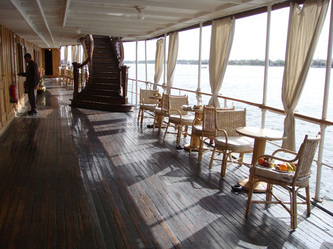 It was on board that she was inspired to later write the famous novel “Death on The Nile” This also followed by the filming of Death on The Nile and in the 2004 BBC version of Agatha Christie’s Death on the Nile with Davis Suchet. 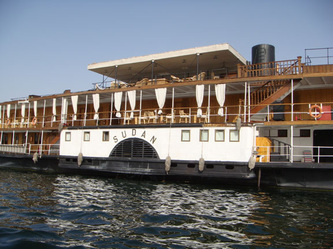 In June 2011 the Sudan had a complete overhaul. 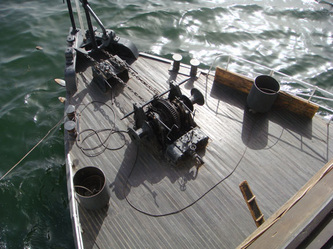 The engines were completely renovated giving the boat better efficiency and soundproofing. The kitchens were also refurbished. 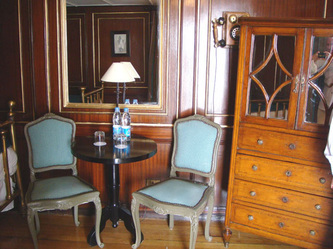 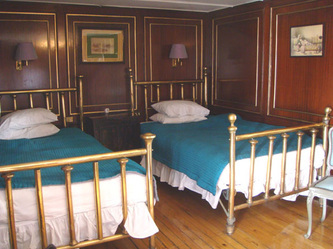 The bedrooms have wooden panelling, copper bed frames and parquet flooring with classical furniture. 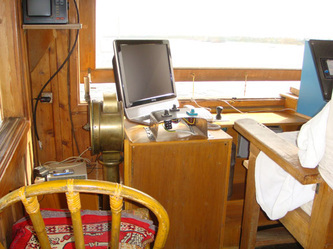 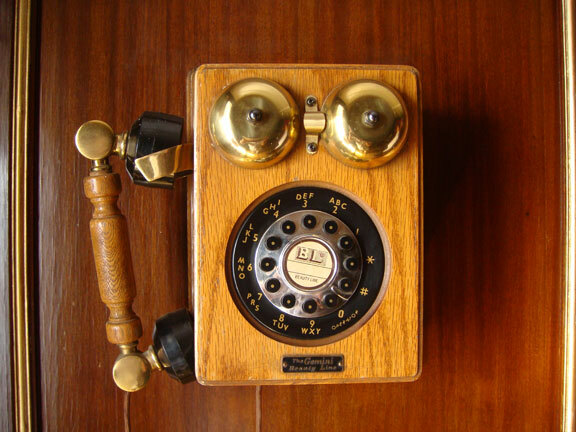 All cabins have these old fashioned working telephones. Top deck, sun lounge beds. The inside bar is wonderful. 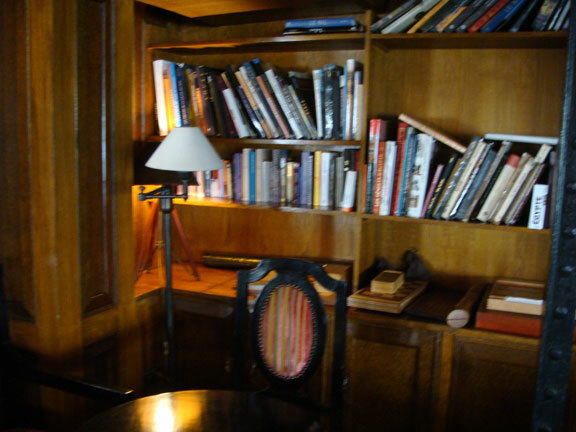 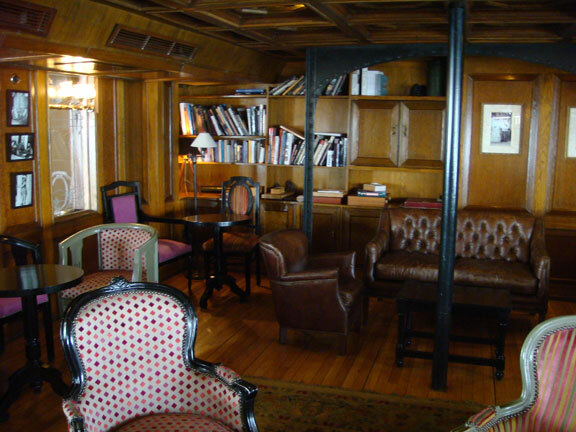 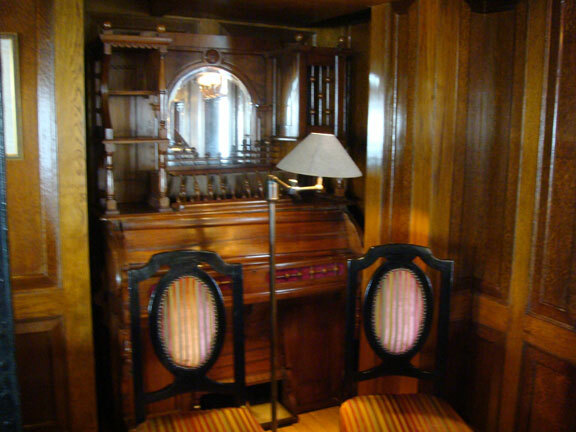 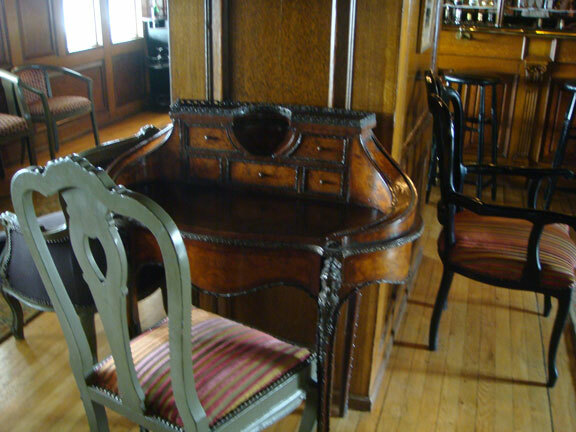 It has a piano, a library with classic desks and lamps to write that postcard. 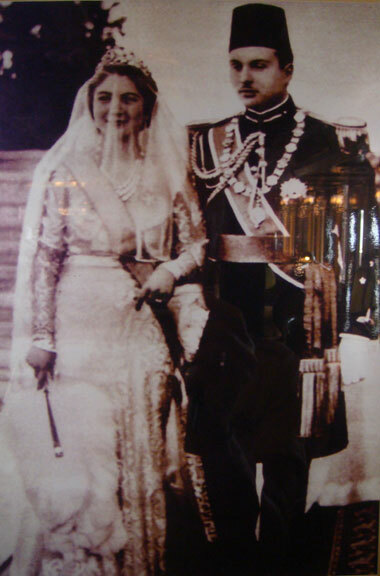 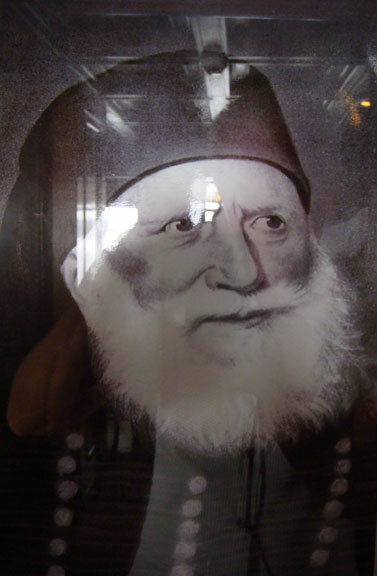 There are some very nice photos on the walls of King Farouk, his father King Fouad, and King Mohamed Ali of the Ottoman Empire. The staff on board all wear traditional dress and very much handsomely look the part. 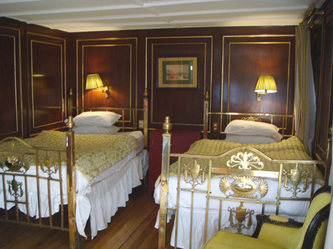 For the passengers it is casual dress and even T-shirts. The Sudan boasts five suites and eighteen cabins and can accommodate forty five passengers. 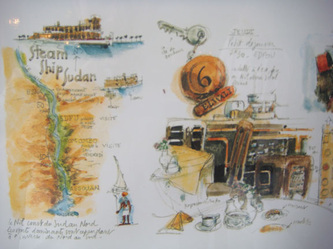 It has a crew of sixty five. Today on my visit they had twenty one guests so I was not able to see all the cabins. On my look around the Sudan I found it to have a great classical atmosphere that took you back in time; very laid back and relaxing. 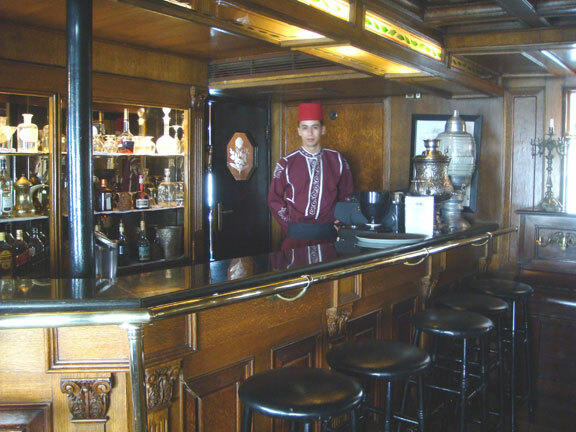 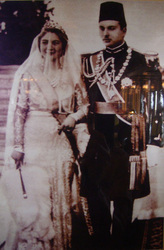 It is very easy to imagine you are back in the twenties or thirties. 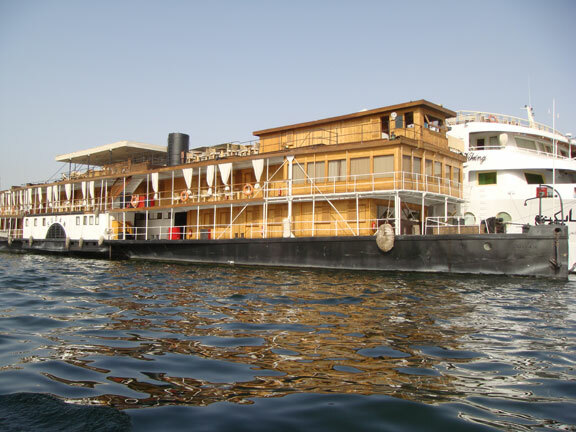 It most certainly would be a great experience to motor down the Nile on the Sudan and to take in the old sights as they did over one hundred and twenty seven years ago.